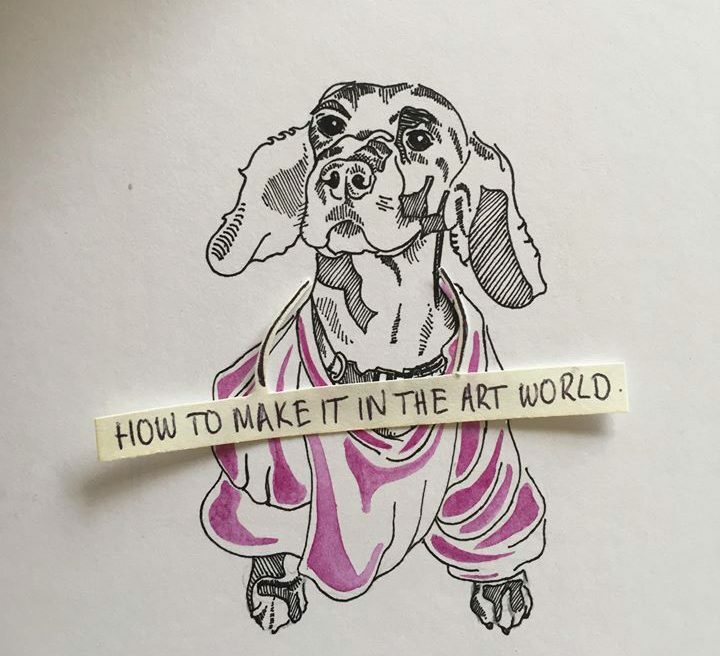 This is because dogs make me happy, their little quirks delight me, I love illustrating them and capturing their personalities and my dogs are as cute as they are stupid. It makes for some wonderful expressions.But am I being somewhat selfish primarily sticking to these story book illustrations? Should I be using my art to engage in bigger and better things and contribute to “the fight”? There are of course many artists under taking this role as there always have been. Politics has often utilised art as much as art utilises politics as a muse. But with the very nature of art being a freedom of expression it is the reactionary and arguably revolutionary art which stands out against the background of political propaganda posters. A piece that comes to mind is Dimitri Vrubels “My God, Help Me to Survive This Deadly Love” or «Господи! Помоги мне выжить среди этой смертной любви» commonly known as “the Fraternal kiss”. This giant graffiti image adorning the Berlin Wall depicts Leonid Brezhnev and Erich Honecker in“fraternal embrace”, an artists depiction ofthe photograph which captured the moment in 1979. This image is an excellent example of reactionary art work. In this case it was a post event reaction to the communist rule of East Germany, the Berlin wall and aimed to underpin the two political bodies in a mocking tone as the artist depicts their “love”. All the while making a direct comment against the massive negative impact the division of Germany into East and West, and the Communist rule had at the time. It is overall a brilliant piece of art. With its position on the Berlin Wall itself, it was positioned at the heart of the political warfare and “love” and consequently had a major impact. Excellently exemplifying the desire and need for art work which bounces back against the political climate and events at the time.